Optional: Figures may also be enlarged, mounted on cardboard, and affixed to sticks. I will go and do the things which the Lord hath commanded (1 Ne. 3:7). I feel reverent when I keep the commandments. Nephi obtains the plates because the Lord commanded him to do it. 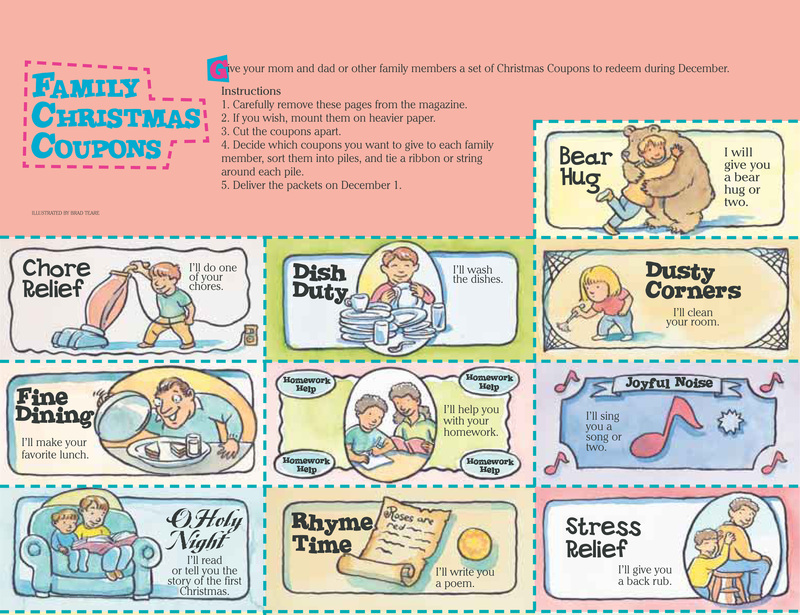 Instructions: Remove this page from the magazine, color the figures, and mount them on heavy paper; then cut out the figures and glue pieces of flannel on the backs. 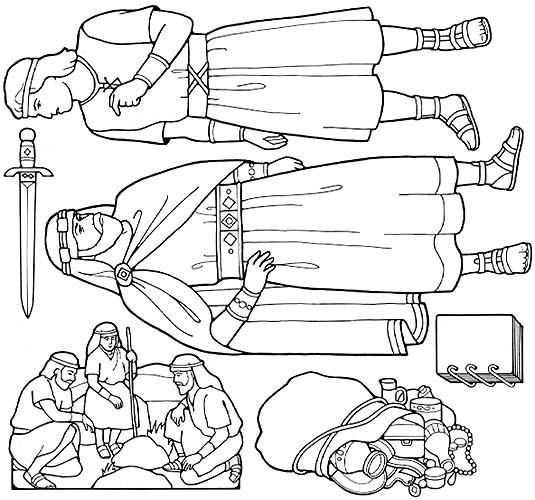 Read the scriptures listed, then retell the Book of Mormon story using the figures. 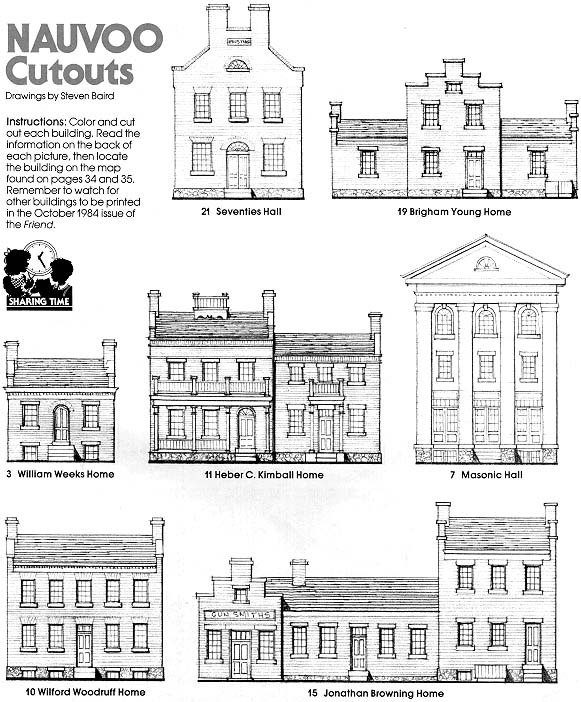 Instructions: Color and cut out each building. 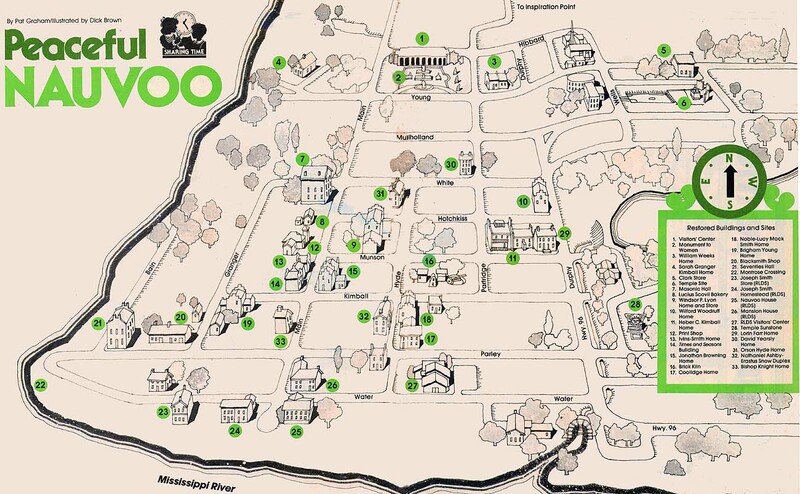 Read the information on the back of each picture, then locate the building on the map found on pages 34 and 35. Remember to watch for other buildings to be printed in the October 1984 issue of the Friend. While this building was being built a tornado blew down one of its walls. Finally the building was dedicated on December 27, 1844, and served as an office and a missionary training center for the Seventies. A community library and museum were located on the second floor. When the Saints left Nauvoo, the building was sold. It was a Presbyterian church, then a school, before it was destroyed. Brigham Young completed his redbrick home on May 31, 1843. After the death of the Prophet, the Young home became Church headquarters. On February 22, 1846, the Young family left their home and headed west. The home was sold at a public auction for $ 600. Later Brigham Young became the second President of the Church. William Weeks, a skilled architect, designed the Nauvoo Temple. Besides it and his home, he also helped plan the Masonic Hall, Nauvoo House, and the Nauvoo Arsenal. The Kimball family moved into their unfinished redbrick house in late fall of 1845. Unable to sell the home before they journeyed west, they had to abandon it. Heber C. Kimball, a blacksmith and a potter, was one of the first Apostles of the Church. Later he became Brigham Young’s first counselor. In 1954 a great-grandson purchased and restored the Kimball home, which marked the beginning of the Nauvoo restoration. Many civic and cultural events were held in this white stucco three-story building after it was completed in April 1844. Wheat was stored in its basement. After the Saints left Nauvoo, the building was used to turn as a grocery store, a hotel, and after the top floor was torn down, a home. Wilford Woodruff wrote in his diary on May 3, 1844, “I hung 4 doors primed them & laid my lower floors.” The next day he wrote, “I moved into my new brick house.” A week later he left his wife and three children to serve a mission in the New England states. At the age of eighty-two he became the fourth President of the Church. Jonathan Browning was a talented gunsmith who invented several repeating rifles. About three years after Jonathan and his wife Elizabeth were converted to the Church, they moved from Quincy, Illinois, to Nauvoo. They purchased a half-lot and lived in a two-room log cabin until their brick home and shop could be built. 1. Assign children to tell about information on back of buildings, then locate them on map. Buildings might be drawn larger. More information about Nauvoo and the people who lived in the homes can be researched. 2. 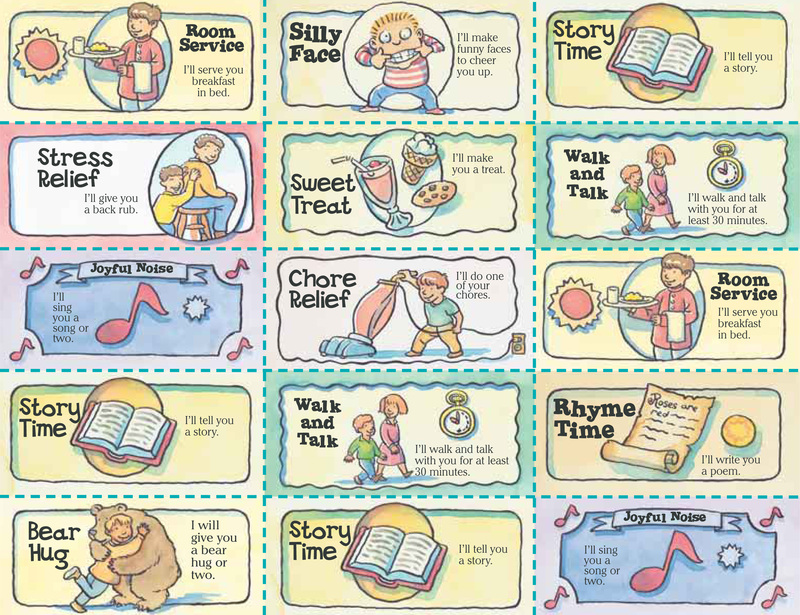 Sing songs like “Keep the Commandments” (More Songs for Children, page 14) and “Teach Me to Walk in the Light” (Sing with Me, B-45).